SALT WATER FUEL CELL CAR – Learn how to use water as a power source! Smallest, Least Expensive, 1st Fuel Cell Car Powered by Saltwater! 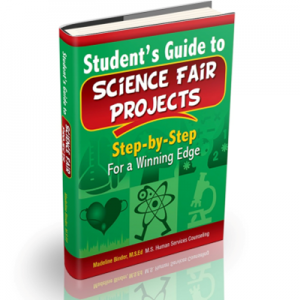 Free science fair project ideas that are not anywhere on the internet! Just simply mix some regular table salt in regular tap water to create a salt water fuel station, and you will be amazed watching the car take off from the starting line again and again. One drop of salt creates enough energy to power the car for about 15 minutes, and each magnesium strip can run the car for about 5 to 7 hours! When done driving for the day, you put the car in park by simply taking the fuel cell out of the car, rinsing it in tap water and drying it off. Easy to set up and easy to clean, the Salt Water Fuel Cell Car is an amazing, literal demonstration of chemistry’s power. This environmentally and kid-friendly concept reflects the new, cleaner ways we think about automobile production and demonstrates first hand a more effective utilization of our natural resources. All the materials used in this kit are environmentally friendly, clean, non-toxic, and respect disposal concerns. It does not produce any heat. This is a kit, you will receive parts to build the item pictured.